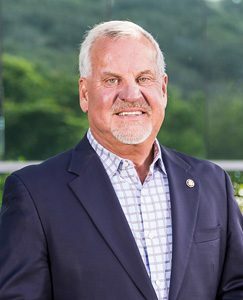 Our leadership team, led by founder, chairman, and CEO, Mark LeDoux, are responsible for guiding not only NAI’s success but driving the nutritional health industry forward. Mr. LeDoux founded Natural Alternatives International (NAI) in 1980. With over 43 years of experience since joining the nutritional supplements industry in 1975, Mr. LeDoux is considered a highly regarded leader and spokesperson for our industry – making him one of the longest-serving active executives in the nutritional supplements industry. 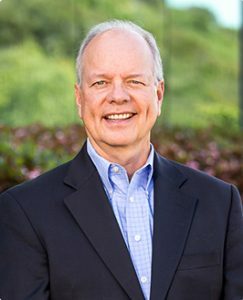 As Chairman of the Board of Directors of the prestigious Natural Products Association (NPA) based in Washington DC, where he has been a member since 1980, Mr. LeDoux represents NAI’s ongoing commitment to industry and government affairs, adherence to a strong code of ethics, and continuing support in the legislative, regulatory and public affairs arenas. He was former Chairman and Board member of the esteemed Council for Responsible Nutrition (CRN), and Founding Chairman of CRN-International based in Switzerland, currently serving as a Director on its Board. LeDoux also serves on the Nutrition Industry Association-west (NIA) Board and is a recognized participant of the Codex Alimentarius Commission, the United Nations’ food and dietary supplement standard-setting body under the joint supervision of its Food and Agriculture Organization and World Health Organization. In addition, LeDoux currently serves as Chairman of the Board of Selectmen in his hometown of Hollis, New Hampshire. He is President of the Marie A. LeDoux Charitable Foundation and a current member of the Young Presidents Organization Graduates. A graduate of the Thomas Jefferson School of Law, Mr. LeDoux received his bachelor’s degree from the University of Oklahoma, where he graduated with honors. He is also a graduate of Stanford University’s Program for Small Business Executives. 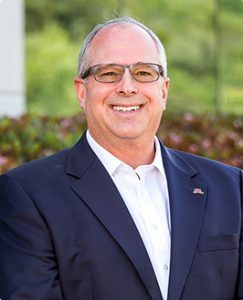 Mr. Wolf joined NAI in February 2008 as Chief Financial Officer, was promoted to Chief Operating Officer in June 2010 and has served as NAI’s President since October 2015. Mr. Wolf is responsible for design and implementation of NAI’s long-term strategic plans and oversight of all areas within the company. 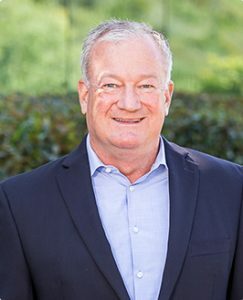 He possesses over 26 years of senior financial management experience in both publicly traded and privately held companies, with the prior 21 years associated with consumer products manufacturing companies. Mr. Wolf received his Certified Public Accountant license from the State of California and a Bachelor of Science in Business Administration – Accounting from California State University in Fresno, California. Mr. Fortin joined NAI in April 2008 as Director of Accounting and SEC Reporting and earned his appointment to Chief Financial Officer in October 2015. With over 18 years of accounting and finance experience working in Big 4 public accounting and private industry, Mr. Fortin is a steadfast, strategic leader responsible for driving financial and business results. Mr. Fortin received his Certified Public Accountant license from the State of California and a Bachelor of Science in Business Administration-Accounting from San Diego State University, California. Gene Quast, Vice President of Global Sales, joined NAI in 2014. He is responsible for customer relationships, business development, and marketing and sales to NAI customers globally. 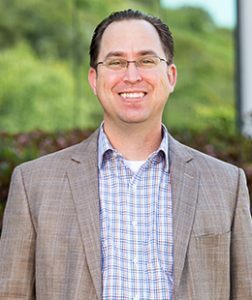 Mr. Quast’s background includes responsibility for company turnarounds, business development, profit and loss, sales management, mergers and acquisitions, research and product development, and manufacturing and process improvements. These experiences were accomplished over 30 years of increasing responsibilities in the dairy foods and global dietary supplement industries. Mr. Quast received his Bachelor of Science Degree in Animal Science with a minor in Chemistry from the University of Minnesota and has completed studies toward his MBA. Andrea Lester, Vice President of Global Quality, joined NAI’s Quality Unit in 2005. Ms. Lester is responsible for development, implementation, and enforcement of the firm’s Quality Management Systems to ensure compliance with Good Manufacturing Practices, regulatory requirements, and customer specifications across North American and European operations. Andrea oversees all aspects of Quality Assurance, Quality Control, Document Control, Validation, and Quality Systems. Ms. Lester is a member of the American Society for Quality (ASQ) Food, Drug, and Cosmetic Division and the Orange County Regulatory Affairs Committee (OCRA). In addition, Andrea co-chairs the Dietary Supplement division of the Quality Leadership Network (QLN), a collaborative workgroup sponsored by the Los Angeles FDA District Office bringing FDA, Industry, and Academia together to enhance transparency and improve product quality and compliance, where she was among the recipients of the FDA Office of Regulatory Affairs’ Leveraging and Collaboration Honors Award. Ms. Lester is HACCP certified through an AFDO HACCP/SCP certified trainer, is a Preventive Controls Qualified Individual (PCQI) certified through the Food Safety Preventive Controls Alliance, and holds a Bachelor of Science degree in Biology from Concord University, Athens, West Virginia. David Jan, Ph.D. is NAI’s Vice President of Research and Development. Dr. Jan has led the R&D team since 2014. In his current role of managing the R&D department, he is responsible for establishing and maintaining departmental procedures and protocol, reviewing and approving formulas, processes and raw materials used in our dietary supplement projects, oversight of the product development process from quotation to initial trials to commercial scale-up. Prior to joining NAI, Dr. Jan had over a decade of experience developing formulas for difficult-to-formulate solid oral dosage forms of sustained- and immediate-release generic pharmaceutical tablets and capsules. He worked directly with formulas and processes from inception to benchtop, pilot, and commercial scales. He led his teams of technicians in day-to-day experimental and pilot-scale activities in addition to managing resources in the pilot plant. Dr. Jan received his Ph.D. and Masters in Materials Science Engineering from the University of Michigan and his Bachelor of Science in Chemistry from Harvard University. James Gause is the Global Operations Vice President with responsibility for North American and European operations. 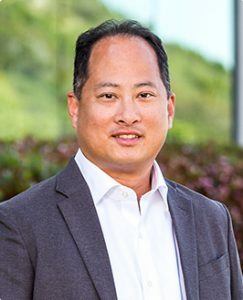 His current focus is on improving conversion efficiencies, driving competitive advantages by improving input sourcing value, landing capacity to support growth, and leveraging talent on both continents. Prior to joining NAI, Mr. Gause gained over 25 years of experience in the food and beverage industries. Mr. Gause holds bachelor’s degrees in Industrial and Electrical Engineering from Texas A&M University. 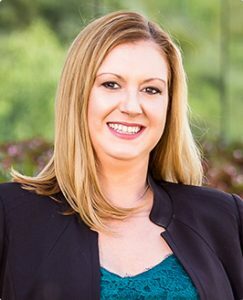 Ms. Burbank joined NAI in August 2018. Ms. Burbank is responsible for setting the direction of the CarnoSyn® brands of beta-alanine for both the Sports Nutrition and Everyday Wellness and Healthy Aging markets. She possesses over 20 years of senior sales and marketing experience working with both large and small brands sold in all retail channels of trade; as well as within the Health Care Practitioner channel. For the past 10 years she has focused her efforts within the supplement industry. Ms. Burbank received both her Bachelors and Masters of Art in Forensic Psychology from John Jay College of Criminal Justice in New York city.